One of the coolest things about using effects is all the different ways you can combine them to create entirely different tonal palettes. 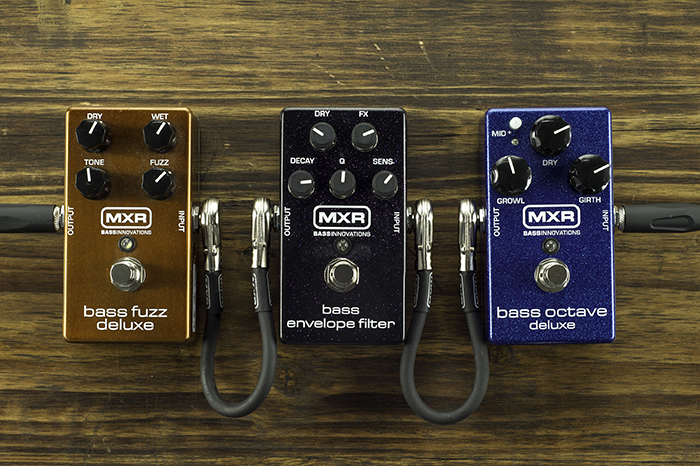 The MXR Bass Innovations line has a number of pedals that sound great when chained together, so we put together a list of our favorites. Feel free to experiment with the placement of each effect, as your mileage may vary, but these are our preferred arrangements. Bootsy Collins used this effect combination quite often—listen to the song “Bootzilla” for another great example. 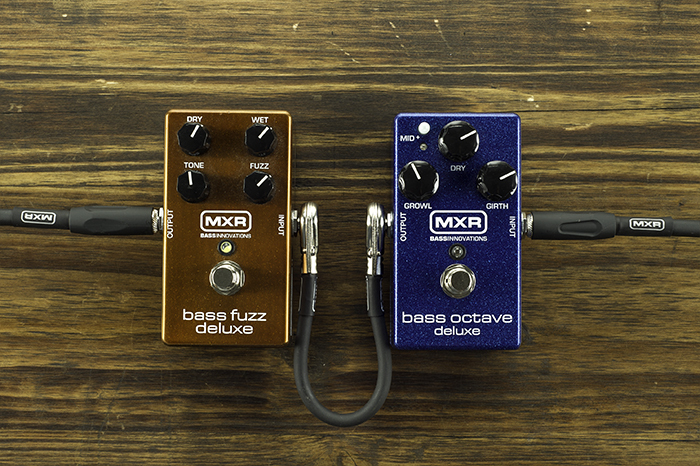 Combining the Bass Octave Deluxe and the Bass Fuzz Deluxe is all about subterranean chainsaw grind. 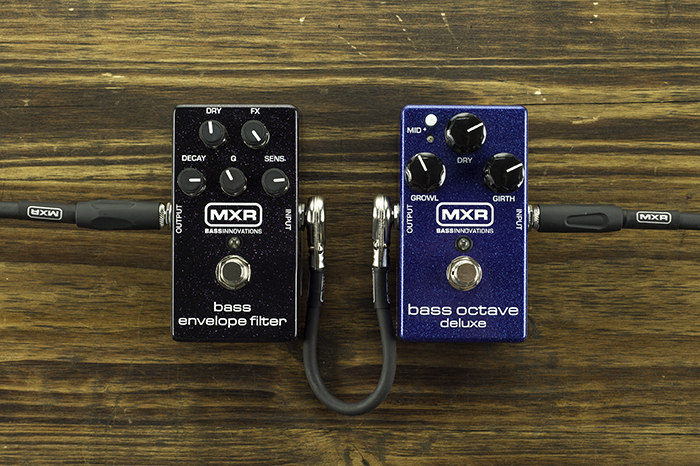 Putting the octave pedal in front of the fuzz pedal can fill out the sonic space, fattening up and adding some depth to your signal. Check out “All the Love in the World” from Nine Inch Nails or “No Hassle Night” by the Dead Weather to hear how the octave/fuzz combination sounds when done right. This combo is all about liquid, percolating funk with a more aggressive attitude. 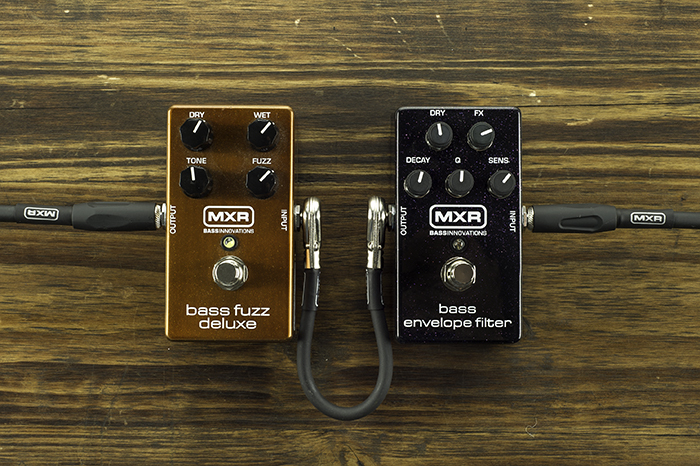 Just run the Bass Envelope Filter into the Bass Fuzz Deluxe and pluck away. Bootsy Collins liked to use this combination a lot, as does Les Claypool. 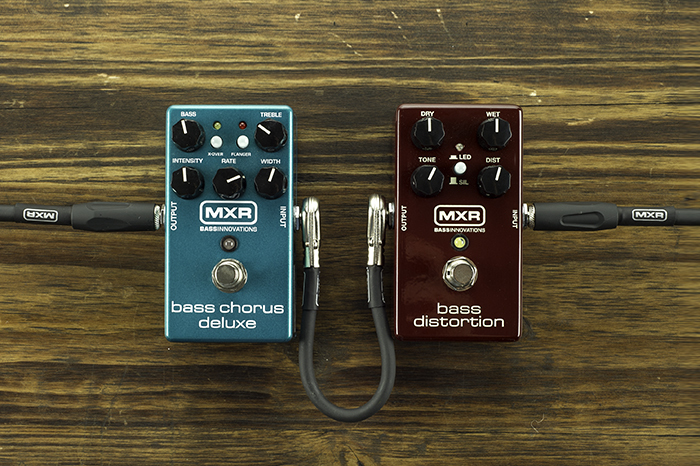 Combining these two pedals—Bass Distortion into the Bass Chorus Deluxe—gives you the dark, spectral sounds chorus pedals are known for, but the distortion adds a whole ’nother level of texture and attitude. For a subtle but effective use of this effect, listen to Puscifer’s “Galileo.” Type O Negative’s “IYDKMIGHTKY (Gimme That)” has a more obvious example. 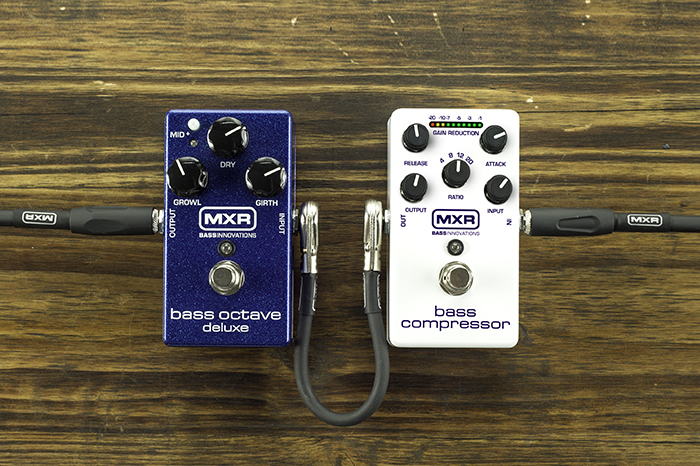 There’s a ton of other effects combinations available to bass players, but we feel these are the the most basic, foundational combos you should get to know as a bass player. Line ’em up and dig in.